What is the potential of IT to improve K-12 education? How can the implementation of IT in K-12 educational practice be supported? This International Handbook seeks to provide researchers, policy-makers and practitioners with an integrated overview of the field. The second edition is scheduled for release in 2018. For more details and download information, please click here. International Handbook editors, Dr. Gerald Knezek, Dr. Rhonda Christensen, Dr. Joke Voogt and Dr. Wing Lai at the UNESCO 2016 Conference in Paris, France. 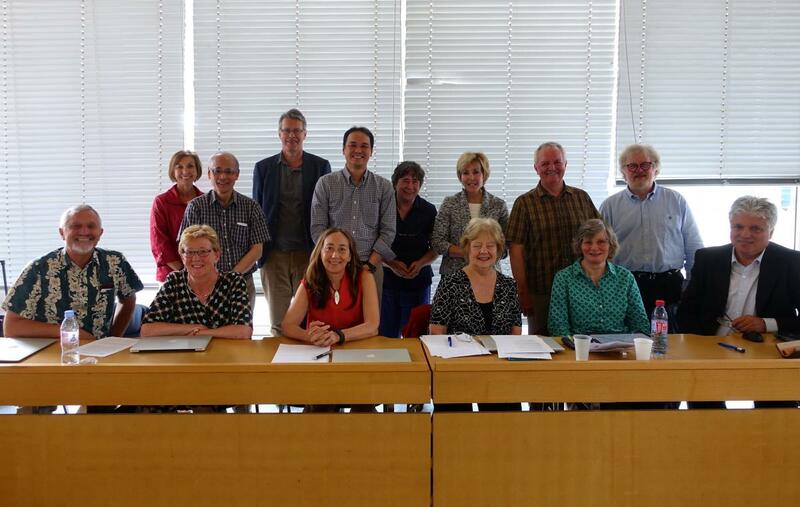 International Handbook Section Editors Meeting at the UNESCO 2016 Conference in Paris, France.